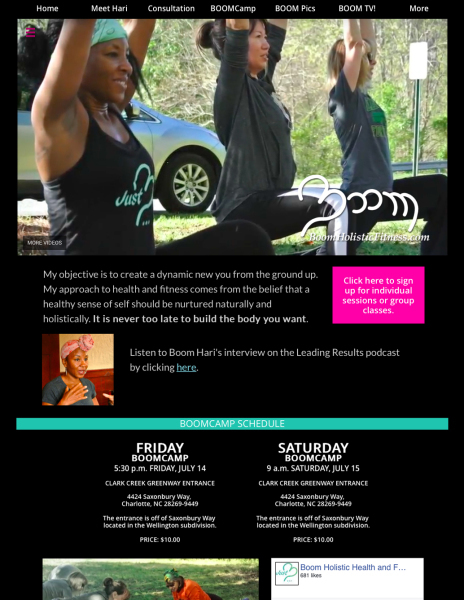 I created the Boom Holistic Fitness website which includes a welcome video, bio, calendar, Facebook feed, consultation form, photo archive, video archive, testimonials, contact page, product store and social media links. 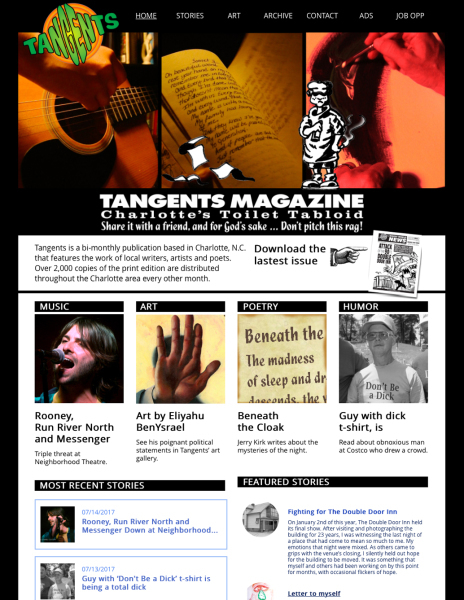 The Tangents magazine website includes a blog, a most recent stories feed, a featured stories feed, an archive of downloadable PDFs of past issues, an art gallery, a list of distritbution points, advertising information, animated advertising and social media links. This website includes a video, testimonials, pages for four different forms of art, a contact page and social media links. This website featured monthly news reports from a group of Charlotte-area cartoonists. 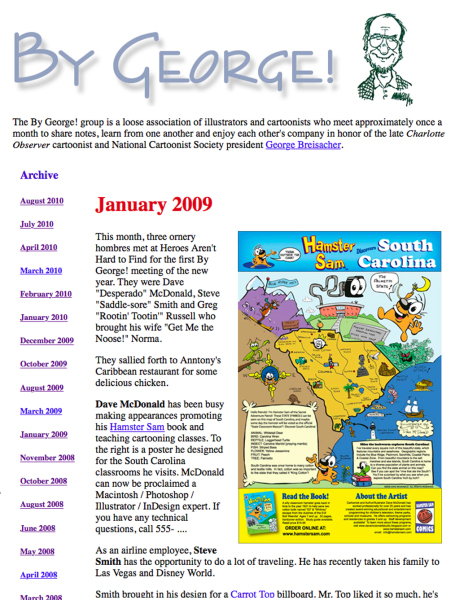 It included an archive of past monthly reports and links to the cartoonists websites. 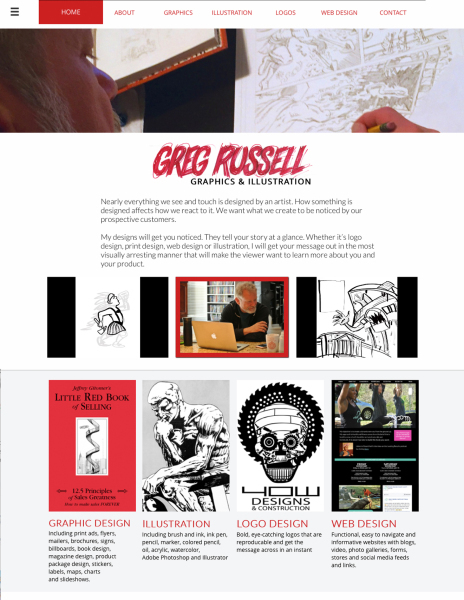 This website featured monthly news from the Russell family. 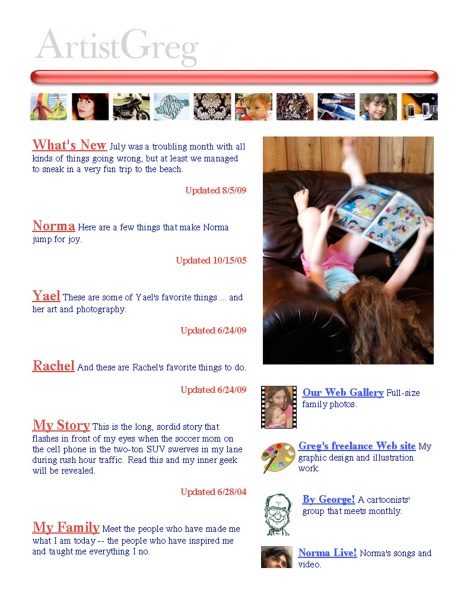 It included links to pages for each family member, a photo gallery and links to other websites.